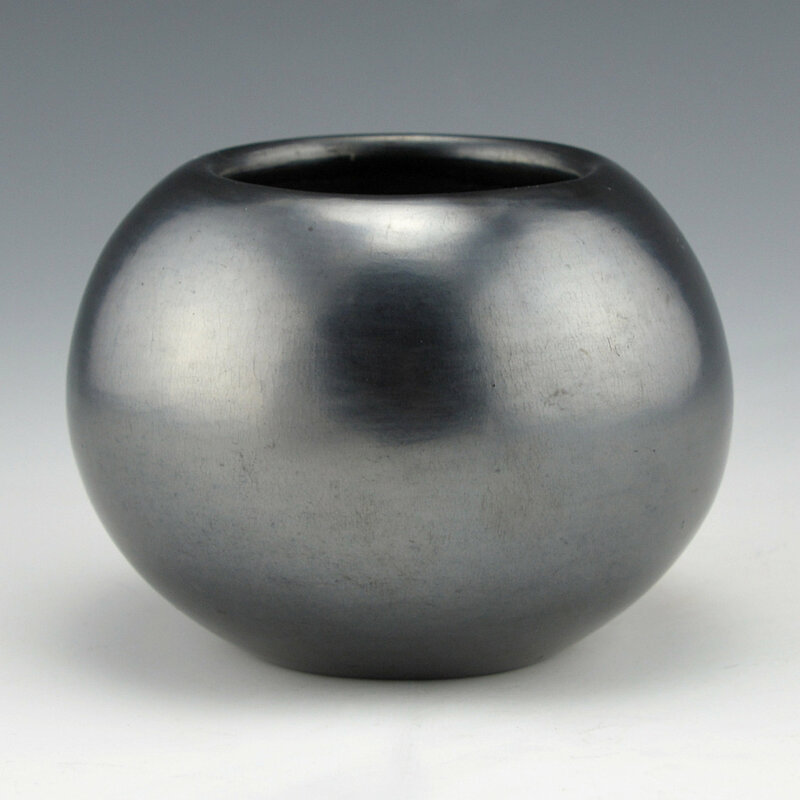 Martinez, Maria - Gunmetal Fired Bowl "Maria Popovi 1268"
This gunmetal fired bowl is a classic piece by Maria Martinez and her son, Popovi Da. 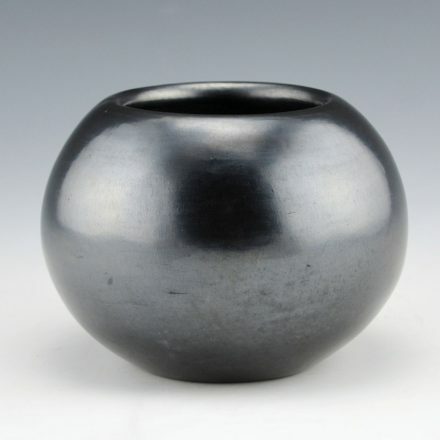 Maria made and polished the bowl and it was fired by her son, Popovi Da (1923-1971). Popovi focused on both the painted surfaces of the pottery as well as the firings. 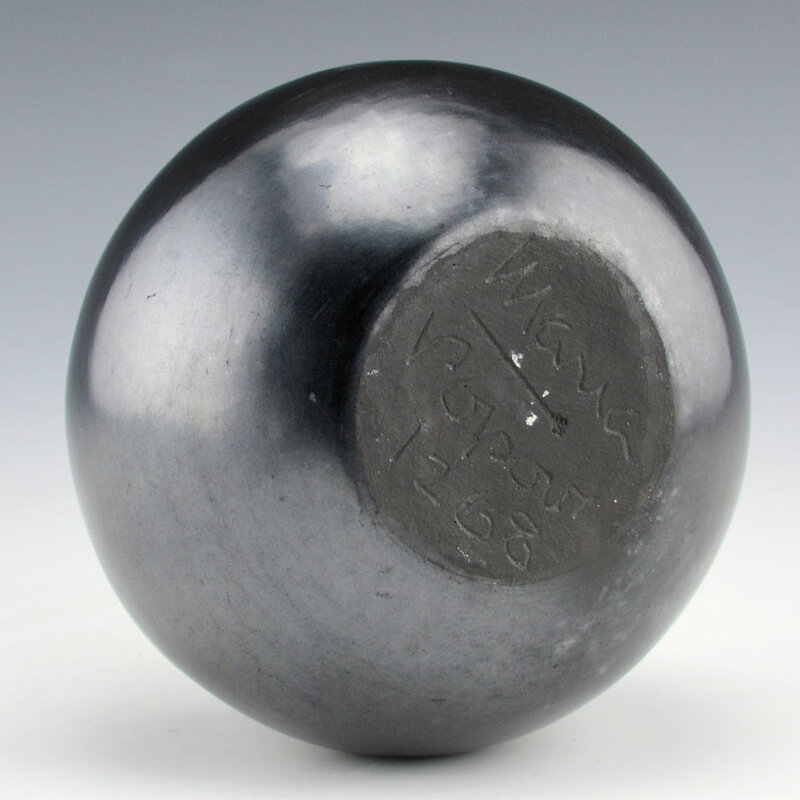 This bowl is a gunmetal coloration with a metallic appearance across much of the surface. It is signed on the bottom in the clay, “Maria / Popovi 1268”. The firing date is when the pottery was made, so this bowl was from Dec, 1969. It is in excellent condition with no chips, cracks, restoration or repair. Great gunmetal fired pieces by Maria and Popovi with such high polished surface are always stunning and a great addition to any collection!